MOVE-IN READY! This Hartley is located on a waterfront lot. 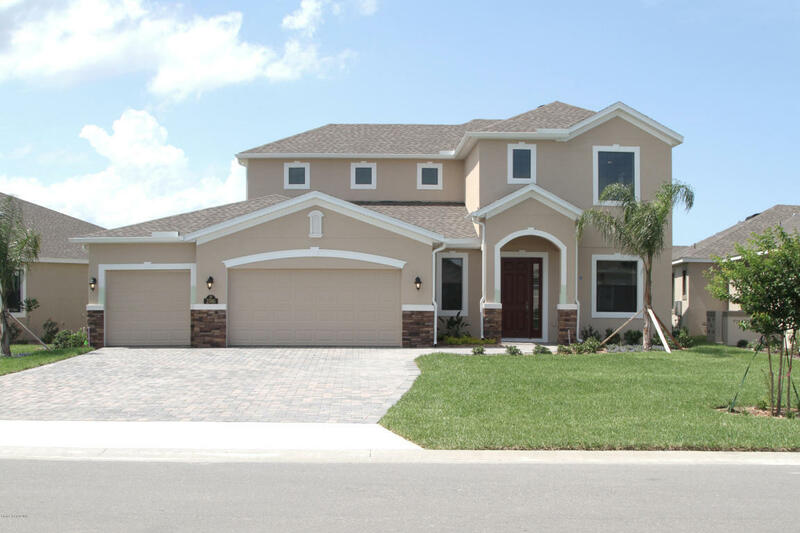 This home offers a grand staircase entryway with living area, half bathroom, great room, kitchen with cafe area covered lanai, and master retreat with large walk-in closet located on the first floor. Stairway leads to three bedrooms, two bathrooms, and a laundry room. Included are plenty of upgrades such as white designer 42'' cabinets, quartz countertops, Whirlpool stainless steel appliances, wood-looking tile in main living areas, 8' interior doors to match high ceilings, and more. In addition to your new home you will enjoy access to the future Addison Village amenity center which includes a clubhouse, resort and lap style pools, tennis courts, etc.